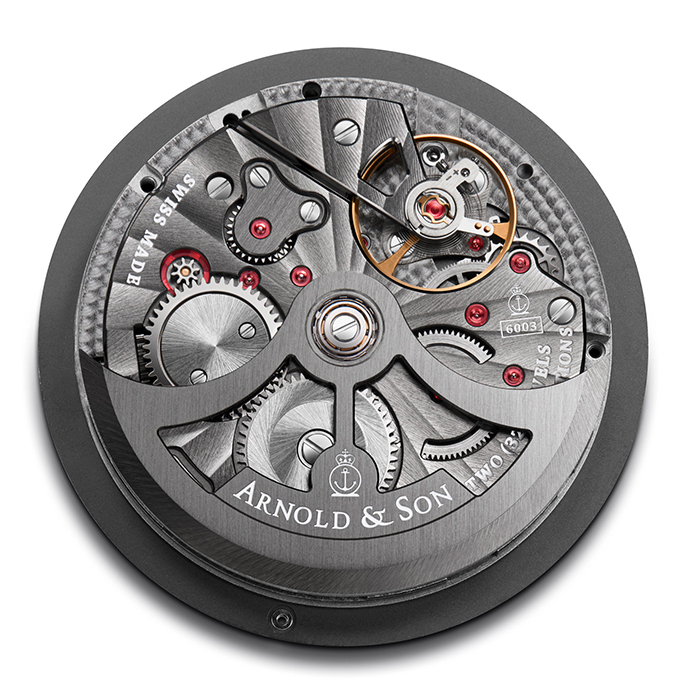 Arnold & Son | 30'440 € Tax inc. 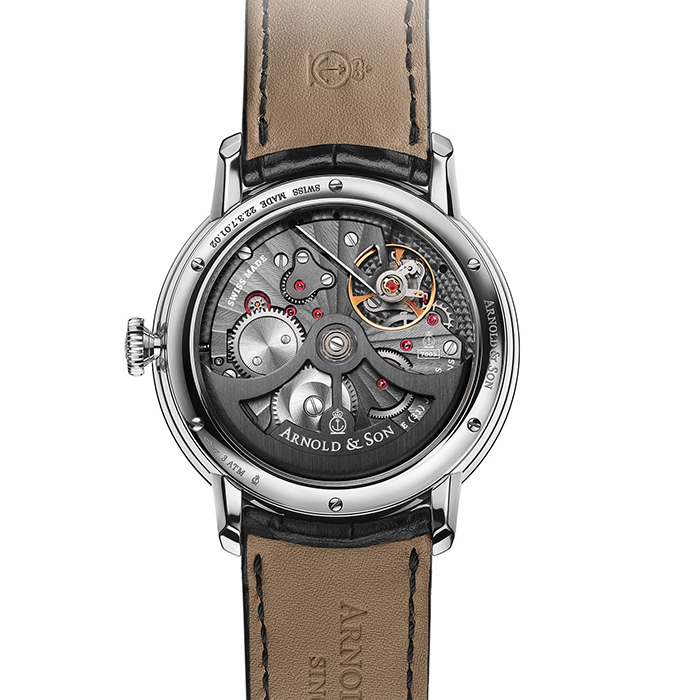 The DSTB is part of the Instrument Collection and, like every other model from Arnold & Son, features an in-house mechanical movement. 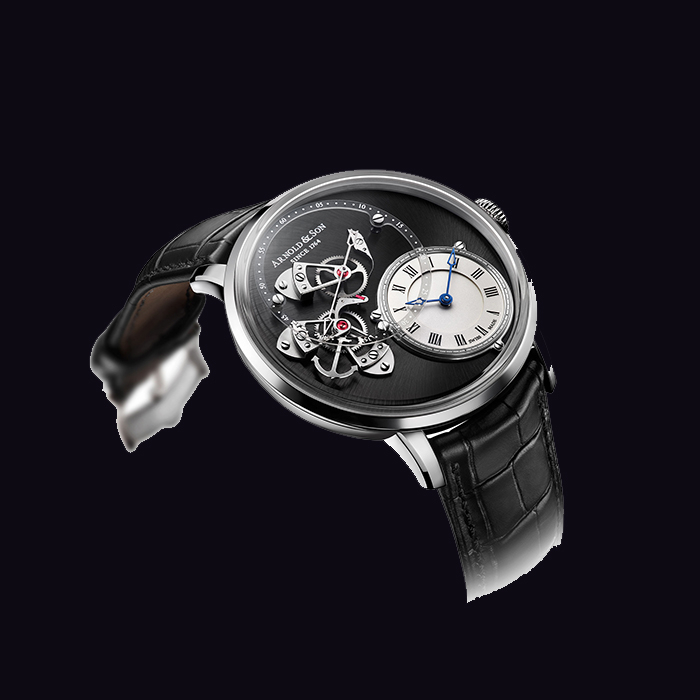 The true beat seconds is a traditional complication of Arnold & Son, and this watch pays tribute to the watches produced by John Arnold during the second half of his career when he and his son were the first to develop marine chronometers that could be produced in quantity at reasonable prices. 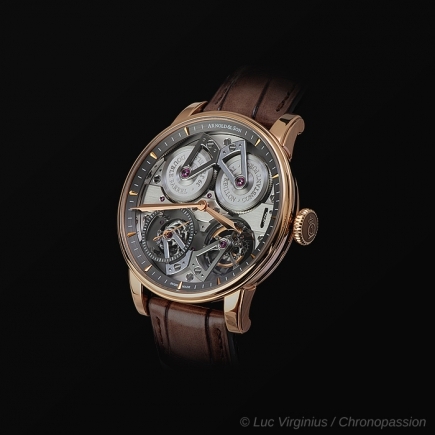 Those technically superior, widely distributed chronometers reflected Arnold & Son's commitment to exceptional precision and solved the problem of determining longitude at sea. 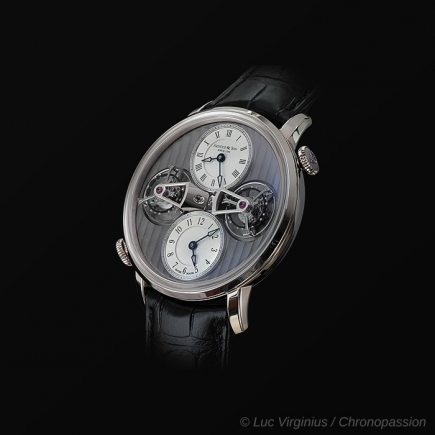 This restructuring of the intricate mechanism yields a concept not achieved in the watch industry heretofore. 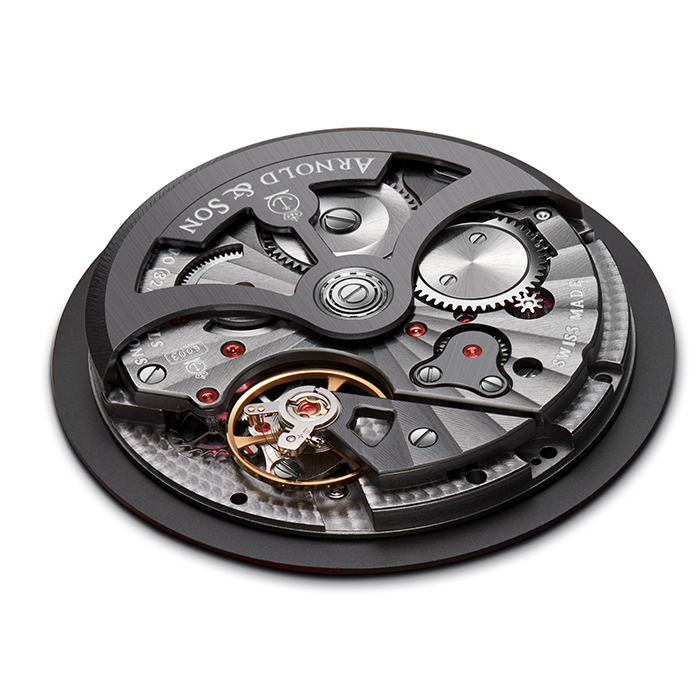 The self-winding calibre A&S6003 has 229 components. In true Arnold & Son style, the NAC grey treated movement featuresHaute Horlogerie finishing with hand-chamfered and satin-finished lever and bridges, polished edges and fine circular graining andCôtes de Genève rayonnantes. 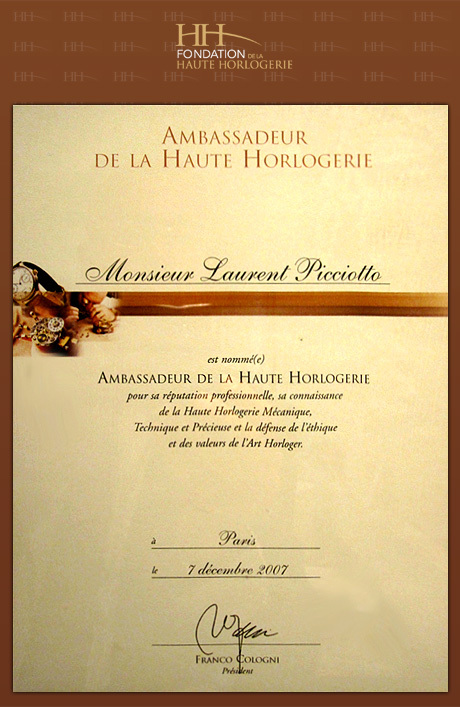 The visible dial plate is black ADLC treated with large circular finishing, and screws with bevelled and mirror-polished heads. 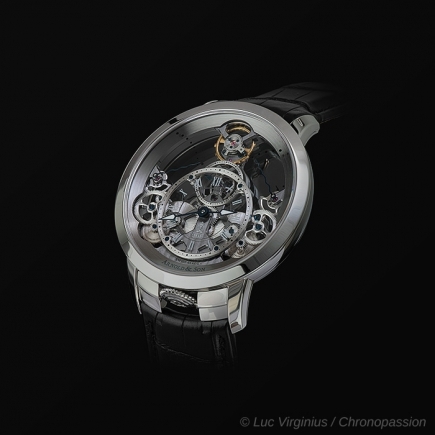 The magnificent timepiece is housed inside a 43.5 mm stainless steel case with anti-reflective sapphire crystal and case back for viewing the superbly finished movement, complete with skeletonised oscillating weight. This edition of the DSTB will be limited to 250 timepieces - underscoring the brand's commitment to exclusivity and excellence.